2 Pair pack, available in the combination of 1 white pair, 1 beige pair or 2 beige pair or 2 white pair. 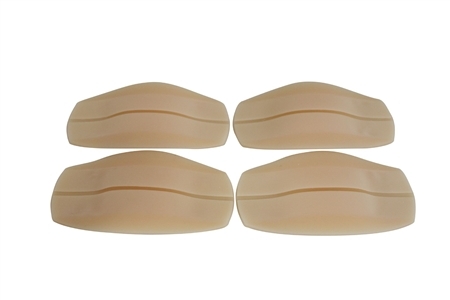 Our soft silicone bra strap cushion holders will stop bra slippage and ease shoulder discomfort and indentation. Comfortable, easy and discreet to wear. Fits up to 1 inch bra strap. Reusable and easy to clean with soap and water.